Play copycat. Bring your child into the bathroom with you to watch you brush your teeth. 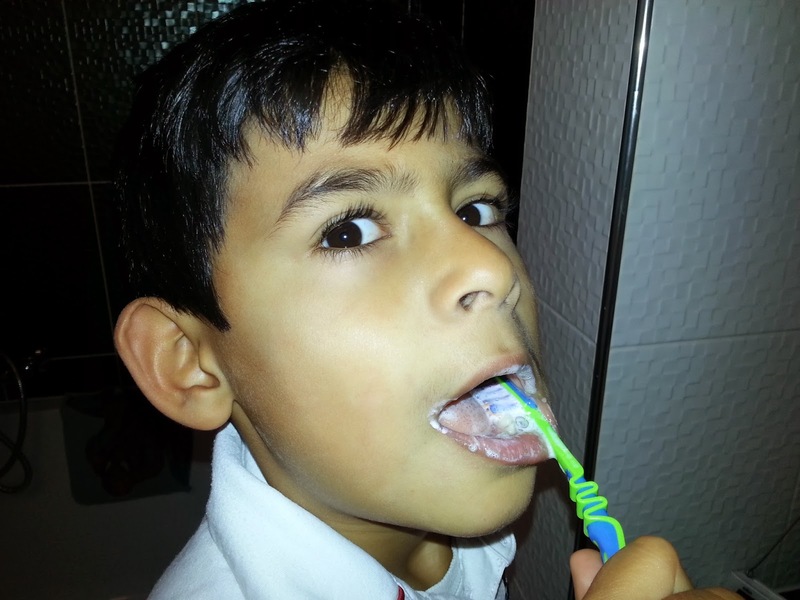 While you're brushing, exaggerate a show of excitement and let them start copying with their toothbrush. Make the toothbrush a toy. Let them play with it. For example, show him how to brush his teddy bear's "teeth," or even let him brush yours. Create the impression that toothbrushes are fun to use. Play show and tell. Explain to your little ones about how important tooth brushing is and that it is used to remove sticky stuff that collects on your teeth. The sugar bugs like the sticky stuff, and if they stay there long enough, they'll eat into your teeth, and then your teeth won't be strong and white. Use your finger as a toothbrush. If they still don't seem excited by tooth brushing then use your finger to clean his teeth. Some toddlers find this less frightening than a long, plastic toothbrush. If you use toothpaste, choose one that has a flavour he likes. Any medical information provided in Dentist Asha’s Blog is designed to provide help and advice and not replace their relationship that exists between their dentist. Dentist Asha’s Blog respects the confidentiality of individual patients and site visitors. All content on this site is written by Dr Asha Dwarakanath . Dr Asha does not receive any compensation for maintaining this site. The opinions expressed on this site are mine, and mine alone, and may not be the same as other dental professionals. I am the sole moderator of discussion on this blog. All comments on the blog should be assumed to originate from nonmedical professionals unless credentials are given. Please address each other with respect and honesty, or you will not be allowed to comment in the future. Remember that posts are visible to everyone and cannot be modified once published. If you provide health information, please also provide a reference.